Fashion is a funny thing to me, everyone is looking for the newest thing, and I seem to be heading backwards more and more. And yet I find that I am happier than ever with the choices I make about my style. I enjoy so much dressing like a lady. 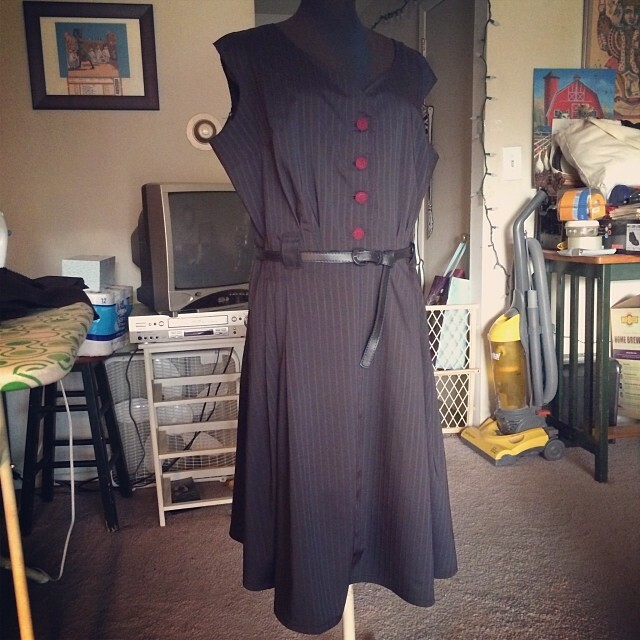 I recently found this beauty on eBay and anxiously awaiting it’s arrival so I can add to my me-made vintage wardrobe. Now comes the fun of choosing the right fabric. Also to add to my vintage touch I have recently added some new glasses. ﻿They are a little more cat eye than I have done before, which made me a bit nervous but I am happy with them. The past few months have been filled with time behind my sewing machine and very little documentation of the work that I have been doing. But at the beginning of this week I received a little shout out from a new sewing friend. 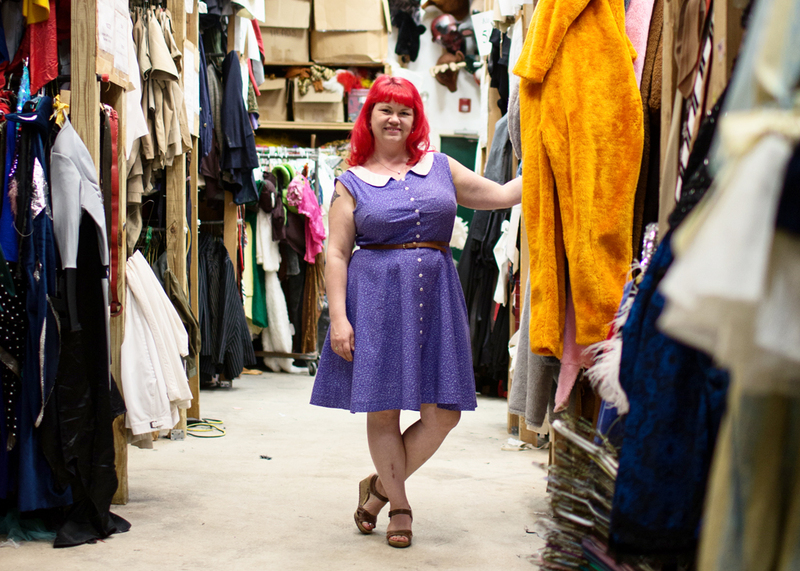 Maddie Flanigan of Madalynne.com interviewed me about my experiences as a costume seamstress going all the way back to my first sewing project when I was 8 years old and forward to now as the General Manager of Pierre’s Costumes. It was a wonderful afternoon filled with sewing geek talk of favorite machines and sewing details. Thank you again Maddie and I look forward to a good talk again soon outside of the shop! So I know that I don’t use my blog to the best of it’s ability and I only have myself to blame for that. But in my own defense, doing two 365 projects back to back take up a lot of creative energy and more than I could have imagined for also keeping a blog up to date. So this year I am not doing a 365 days of Blythe project… I am doing a monthly sewing challenge that I am setting for myself. I will be sewing something for myself, specifically for my own wardrobe every month, while keeping a journal of my design inspirations as well as notes of how I change a pattern, fabrics chosen, etc. And of course my other goal is to blog about each project. 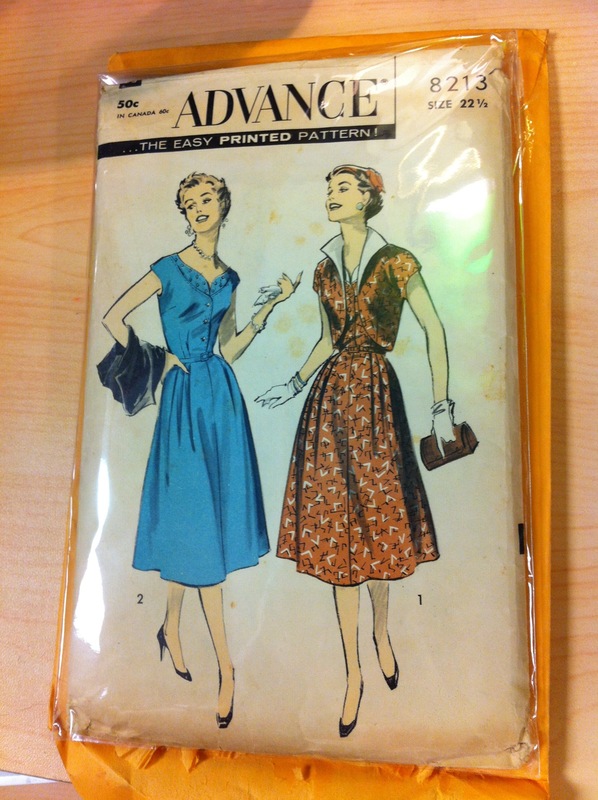 For January, I chose to sew a dress from a vintage pattern, Advance #8213 which is from the 1950’s. I bought the pattern over a year ago and just had not found the right fabric for it until late fall of 2013 and just now got around to cutting it out and sewing it together. 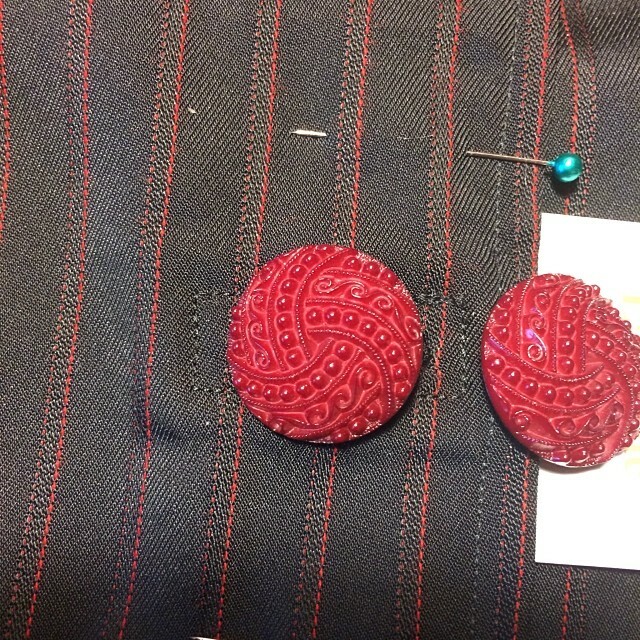 I chose a black with red pin stripe and then red buttons with a bit of vintage flair to them. I think that this will be quite fun with my red hair. Since I have been so happy with my summer rose dress I took the plunge recently and found a new to me vintage dress pattern in my size! I’m so excited to test it out! This is Advance pattern 8213 which has all of the pieces with 1 teeny tiny tear which was taped when it was first purchased. All in all a great design to wear this summer. Now to hit the fabric shop!